Breezy throughout the day and light rain this afternoon. 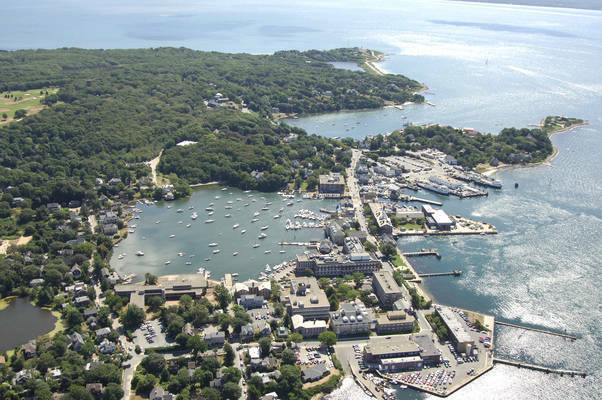 The beginning of Woods Hole dates back to the early 17th century. Five years before the settlement of Jamestown, Virginia, and 18 years before the Pilgrims landed at Provincetown and Plymouth, Bartholomew Gosnold coasted along Cape Cod and Marthas Vineyard, and about May 31, 1602, he is believed to have landed at what is now known as Woods Hole. 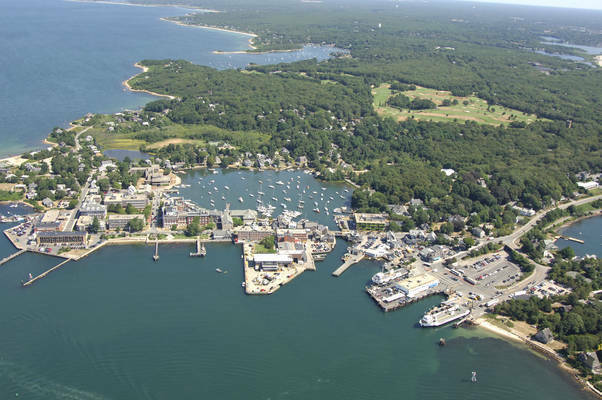 Woods Hole is a salty, sea spray village located about five miles northeast of Vineyard Haven and 15 miles south of the Cape Cod Canal. It is a village of the past, with many seafaring tales, and it is a village of the future. The scientific community includes: the Marine Biological Laboratory, the Sea Education Association and the Woods Hole Oceanographic Institution, renowned for finding the Titanic and for the deep diving research submarine, ALVIN. Visit the Oceanographic's Exhibit Center on School Street. The National Marine Fisheries maintains a small aquarium on Albatross Street. It is said to be the oldest aquarium in the country and "petting" the fish is permissible! It is also home to the first Buckminster Fuller geodesic dome. In the summer, Woods Hole bustles with visitors, shoppers, scientists and residents. Many are passengers waiting for the next ferry to the island of Martha's Vineyard. Year round connections are available to "the Vineyard" and to the island of Nantucket. As you amble about the village, you'll discover many great eating places and unique shops and galleries. A short walk will bring you past the U.S. Coast Guard base, or hike a little further along the beach road, Church Street, to historic Nobska Lighthouse for sensational views of Vineyard Sound, Woods Hole and Martha's Vineyard. Other places to include in your visit to the Woods Hole area: The secluded secret held by Spohr's Garden on Fells Road is hard to find, but the spring sea of daffodils in this waterfront garden is spectacular. A visit to the Bradley House Museum to explore the history of whaling and the Woods Hole Historical Collection is a "must" for history buffs. Serene Quissett Harbor is perfect for peaceful walks any time of the year. Just follow the path that leads to the "Knob," a little chunk of land overlooking Buzzards Bay and perfect for viewing spectacular sunsets. From the north via Buzzards Bay, pick up flashing green bell buoy "13" north of Timmy Point off Uncatena Island. From here, pick up green can "11," and then flashing red buoy "10" farther on. Between Nonamansett Island and Penzance Point is a narrow channel caled "The Strait," which leads between a series of ledges into Great Harbor. This channel starts with red nun "8," and then continues into the light at Grassy Island and red nun "2" just west of Eel Pond and the Woods Hole waterfront. There are a number of moorings available in Eel Pond, and most of the marina facilities are there as well. From Vineyard Sound, quick flashing green buoy "1" marks Great Ledge, and the primary approach into Woods Hole. (There is also a westerly approach that starts on the other side of Great Ledge, and starts with green can "1.") Onceyou have picked up quick flashing green "1," be sure to honor flashing red buoy "2," which marks a rock ledge extending southward from Nobska Point. Flashing red buoy "4" leads you farther in and is followed by a series of other lighted buoys in to Woods Hole. 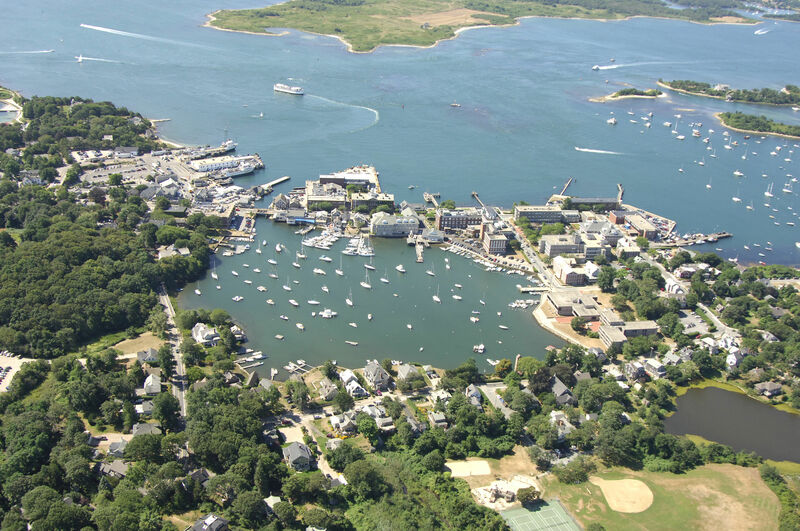 Woods Hole, although a very popular tourist destination, is still remote and outside transportation is limited. It is also a strolling village, easily reached in the summer aboard the "WHOOSH" trolley or by the "Shining Sea Bikepath," both of which originate in the town of Falmouth. No reviews yet! 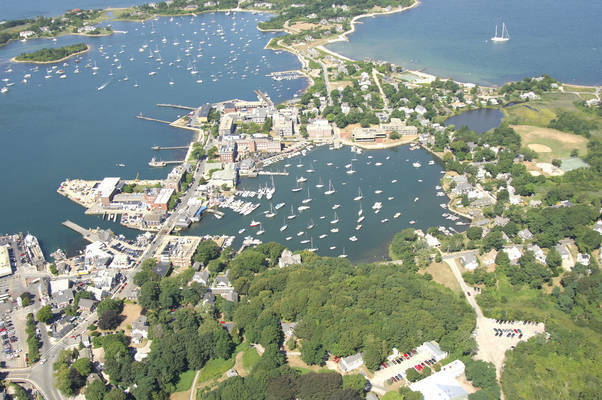 Be the first to write a review of Woods Hole Harbor and Eel Pond.